I am a Kodály Master teacher and have been teaching music since 1980. 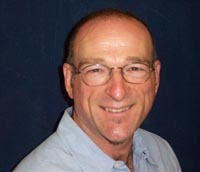 I currently teach ongoing Kodály music classes at the Jingle Jamboree Music Studio in Albany, California and several preschool and elementary schools in the Bay Area. I have my Masters in Music Education with a Kodály Emphasis from Holy Names University where I did my student teaching in the Piedmont Elementary Schools. I hold a partial Orff Certification completed through the summer programs at Mills College in Oakland and UC Santa Cruz. I have a bachelor's degree in music education from Ball State University in Indiana with a major in trombone and instrumental music, and a bachelor's degree in Humanities from Heritage University in Indianapolis, Indiana. I currently hold two California State Teachers Credentials in Music and Elementary General Classroom. I have taught elementary vocal and instrumental music K-8 from 1980 to 1982 and then again beginning in 1987 and infant, toddler and preschool music since 1994. My elementary school in Fairfield was awarded the California Distinguished Schools award for Visual and Performing Arts under my musical leadership in 2000. I have directed more than 50 children's musicals including The Sound of Music, Oklahoma, Fiddler On the Roof and Broadway Junior musicals including: Aladdin, The Jungle Book, Beauty and the Beast, The Aristocats, Alice In Wonderland and more. During my tenure as Director of Music at B. Gale Wilson Elementary in Fairfield, California, over 8,000 children grew to love music through play. The children also participated in four musicals throughout each school year as well as choral performances. My concert choir participated in the annual Bay Area Choral Festival in 1996 and 1997. In addition, my Show Choir auditioned and performed at Disneyland in 1996 and 1998. My beginning and intermediate bands performed more than 30 concerts each during my tenure at Wilson Elementary as well as participating in the Fairfield-Suisun All District Honor Band for 10 years. Many students participated in the CMEA Solo & Ensemble Festivals on flute, clarinet, trumpet, trombone & percussion. Many students placed first and several received the Command Performance Award from the festival judges. I am available for ongoing music lessons in reading and writing music through games and play for elementary age children as well as instrumental lessons for beginning and intermediate students. I also produce and direct children's musicals upon request. Anne Laskey, Director of the Kodály Program at Holy Names University and the 2008 reciepient of Organization of American Kodály Educator (OAKE) Outstanding Educator Award. Dr. Betty Bertaux, Director of the Maryland Children's Chorus, was Jeff's professor in refining skills and development of the young children's singing voice. The study of vocal development was Dr. Bertaux's expertise as she was named the OAKE Outstanding Educator of the Year in 2011. Dr. John Fieirabend, Director Of the Music Education Division at The Hart School of the University of Hartford, past President of OAKE and the receipient of the OAKE Outstanding Educator of the Year. 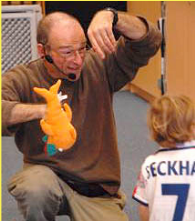 He was the first professor to teach Jeff how men can teach young children in-tune singing and opened up the possiblity for Jeff to begin studies in Early Childhood Music Education. Judit Hartyanyi, Associate Professor of Choral Conducting at the Liszt Academy in Budapest, Hungary. Taught Jeff Choral Conducting as well as the intricacies of the Kodály teaching method with elementary children. She taught Jeff at HNU for one year and teaches music workshops in Italy, Slovenia, Ireland, New Zealand, England, the Phillippines and the United States. Helga Dietrich, internatioinally recognized authority on early childhood music education. She is a graduate and instructor at the Liszt Academy in Budapest, Hungary.